Proud citizens around the world are modeling their cities in 3D. A glance at the Cities in Development collection in the Google 3D Warehouse shows upwards of 500 cities, towns, and locales being modeled. There's at least one 3D city on every continent, including Antarctic research stations. 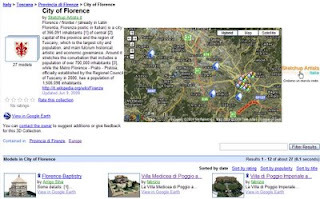 The Cities in Development collection enables geo-modelers to communicate with like-minded citizens who'd like the world to visit their city, town, village, suburb, hamlet, borough, burg, or sub-zero laboratory in Google Earth. Working with Google Earth satellite imagery, building photographs, and Google SketchUp, these modelers are literally putting their cities on the map. Working alone or collaborating with folks they meet via 3D Warehouse, these users collect models together to show off their progress. A very elegant example is the city of Florence where 41 of the most historic and beautiful architectural gems have been brought to life in 3D. Each building model (created by seven different lovers of the city) can be downloaded on its own, or the entire collection can be viewed in Google Earth by clicking on the "View in Google Earth" link. 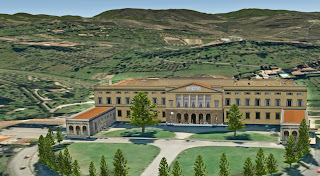 While you are there, you have to check out the amazing Villa di Poggio Imperiale a Firenze. It's hard to compete with classical Florence, but a 3D model of Blackfoot, Idaho is cool in its own way. We love authentic American movie theaters with their deco marquis, and the Nuart Theatre is a classic example! 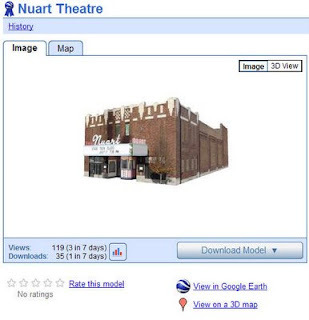 Visit Your World in 3D to find out more about modeling for Google Earth. Well, nice article buddy… Someone will love to read this infor if I tell her about this. She’s really interested in this subject. Thanks again… Please come visit my site St. Petersburg Yellow Page Business Directory when you got time. Wow, loving the two photos you posted. You got potential. Please come visit my site Orlando Yellow Page Business Directory when you got time.